When I was a teenager, I lived on the shores of Summit Lake in west Thurston County. Every summer, I had to swim out a few hundred feet into the lake, following the white pipe, then dive down a few times and make sure the screens weren’t clogged with algae or other debris. Our drinking water came straight from the lake. And about six feet beneath the surface, the water turns very cold. The lake is fed by underground springs. Water on the surface warms in the sun, but the water below is cold- and pure. Years earlier, they had me dive down looking for cold spots, to know where the springs were, to place the line just above. And for six weeks last spring, no one could drink that water. So today we ask each of you the question- do you know where your drinking water comes from? If you live in Olympia – there’s a map for that! If the resolution below is not high enough – you can find the map at www.olympiawa.gov. It not only tells you that the water comes from underground wellfileds – but it will tell you WHICH wells based on where you live. Example – I get 100% pure McAllister Wellfield water at my house. If I want to sample water from Allison Springs – I need to go eat dinner at the Cooper Point Public House (good food, and Allison Springs Water!). Now, how about if you live in Lacey? It took just a few seconds longer to call up their water system plan, and learn that municipal water is pulled from underground wells throughout the City. The water comes from 3 separate aquifers. They do not name specific wells. Tumwater draws its water in the same way, from a series of wells located over 3 wellhead protection areas – Palermo, Bush and Port. The Palermo Wellfield is the City’s main source of water, with Bush used to supplement much of the year, and other wells during peak season only. If you live in one of the urban growth areas, you are often on municipal water supply, extended from within the City. You might still be on a private well, however, all depends on when it was built. Lacey’s website asked a really good question next. We now know where it comes from – where does it go? Well, 2.2% is used by the City for municipal purposes. 92% went out to the ratepayers as a fee for service. The remaining 5.8%, or 156 million gallons? It leaked. It’s referred to as DSL, Distribution System Leakage. It happens in all water systems as they age. The State requirement is to stay below 10% DSL. So how does Lacey compare? 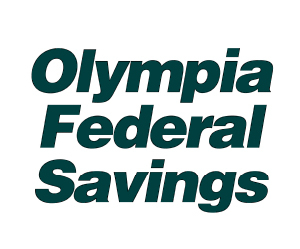 Olympia does have a much, much older system – but according to its data – 9.7%, or 227 million gallons was lost to leaks, theft, and system breaks. 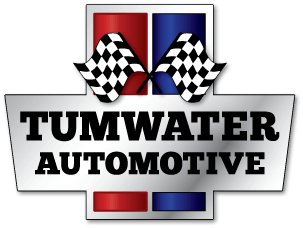 We could not find information about DSL on the City of Tumwater website. Our request to the City for information on leakage and DSL was promptly answered by City Staff, and they are right in the middle of the three cities at 7.8%. They noted they are in the midst of revising the water use efficiency goals, to better measure if that’s a good or bad amount of leakage. Of note- much of this water leaks from pipes, underground. Where it infiltrates, and re-charges the aquifer. From which we draw our drinking water. So it’s not really lost at all. It’s just that each of us pays for a slice of that water in our rates, so they naturally want to conserve. Water is one of the biggest challenges facing us in South Sound – quantity, quality and a lot more. We’ll be covering this and more topics in depth as the year progresses. Comments : Comments Off on Where Does Our Drinking Water Come From? Last weekend, I stopped by Ralph’s (my Local grocer) to pick up some things for dinner. And there they were- the bane of my healthy eating pact, Girl Scout Cookies. With that card table, full of boxes, ready to eat, right by the front door. As I walked in, I smiled at the parent and young Girl Scout, and said Hello. She asked if I wanted to buy a box, and that they were only $5.00 each. In an instant, my brain recoiled. I mean, for the past decade, it seems like the number of cookies in the box got less and less, and the price went up and up. When they were $3, then $4 – I bought 20 boxes from Kate who worked at Buy Local without blinking. But when she said $5, I did a mental doubletake and my mind reeled. Why? At the new price, I would get 16 boxes instead of 20 for my $80. Probably healthier for me anyway. At that point, though, standing outside of Ralph’s, hungry, I said, “I will see on the way out,” and escaped to do my shopping. Sadly, I went down the cookie aisle – even the name brand cookies, with far more cookies in the package than the boxes outside, were all less than $5, and comparable ones were all around $3. I get far better value, economically, buying cookies in the store than out front. And then, browsing for my groceries, it struck me- it’s not about the cookies. It’s about a charitable gift to the Girl Scouts of America, and the local troop. But it took a full ten minutes for this idea to strike. Maybe because I was in a retail store, full of products. Maybe because other than the uniform, there was nothing reminding me that buying the cookies was ALSO a gift to the GSA and the local troop. In an environment where I am buying commodities, it was natural, in my mind, to commoditize those cookies. Because I could buy a comparable box of cookies for $2.99. And that’s when my brain went- duh, and the other $2.01 is a DONATION. I stopped right there in the cookie aisle, pulled $10 from my money clip, and had it ready in my pocket. I got Tagalongs and Smores. And supported my local Girl Scouts. But it got me thinking. Do people really give $99 to PBS so they can get the Josh Groban DVD and CD which comes with it? I mean, I’ve given $99 to PBS several times — I think I got a CD once, but it was never the reason I gave. I paid $35 for a candle shaped like a cow at the Splash Bash in Tenino in 2016 (Get yours May 26th at the 2018 Splash Bash)- and it was not in any way about the candle itself. I don’t know what I would ever do with a candle shaped like a cow, except make some light. I really just wanted to support the Quarry Pool fund, and no one was bidding on it. Now, there are times when the commoditization of a non-profit product can help. Example- non-profit food booths at Lakefair each summer. If it rains all week, sales are half a good year. But the Elephant ears aren’t down by half – they’re down just a bit. Demoburgers run 20-25% down in a bad year over a good. In this case- is the desire to give a few bucks to Altrusa International what keeps people coming even in the rain for Elephant Ears? Nope- most folks don’t even know which non-profit it is, and awareness of what Altrusa does is not common. And it took me just a few seconds to find the ‘Donate’ button at www.altrusa.org, so in the rain, I can give and still stay home. It’s the same with the Demoburgers- they can give online 24/7- but they cannot get those grilled onions. Sometimes, the commodity IS the product, more than the donation. So I go to a complimentary breakfast, hear a pitch about the great things a non-profit does, then get asked to invest in the non-profit. Wait, I did this same thing in Mazatlan- I went to a free breakfast, got a pitch on all the great things the resort offered and does, then got asked to buy a $10,000 timeshare. No, these are NOT the same thing. But the tactics are similar. One is a commodity, the other a charitable investment. For the non-profit, the key is to use the pitch to turn the thinking from commodity-based to giving (hence the Power point slideshow with anthem-like music). If they do it right, we’re no longer thinking about the breakfast at all, and instead are inspired to invest in our community. If they do it wrong, the audience is left wondering how little they can give without offending, in payment for the free breakfast they’ve been provided. This is why I think Table Captains, supporters of the non-profit who recruit friends and associates to fill up the tables, often hurt the cause they are trying to fundraise for. I am asked to come to a FREE breakfast. And yes, I am automatically reminded of timeshare pitches, because of the frequency you get invited to them while in Mexico. Because the thing is – someone is paying for that breakfast. Even on the occasion where a caterer donates – they are still paying for it. What I would prefer to hear from a Table Captain – Can you join me at a breakfast to learn about this great cause? There’s no cost to you. You’ve just confirmed what I was certain of- it’s not actually a free breakfast, but someone is taking care of it to get access to me. But you in no way have emphasized or called out the value of the breakfast. As a potential donor, this puts me in a better state of mind at the event, because no one has placed the commodity in front of me. We know it’s there, it’s been acknowledged, but it’s not overt- making it easier for me to cross into the ‘Giving mode’. Non-profits walk a fine line sometimes on these gala fundraisers. With multi-course meals, open bars, party favors, décor – costs and ticket prices really go up, and people expect more value. It’s a positive feedback loop- costs rise so ticket prices rise, and so on, and so on – until one year, people just don’t see the value, and numbers drop. Or an organization realizes it is putting in so many resources to put on an event, with a net return that isn’t that high, that it doesn’t make sense any more. Remember Sand in the City? The Downtown Fall Ball? Sadly, what usually happens is over-commoditizing their event. Guests look at the admission price and think more about what they are getting than how much they are giving. I don’t think it’s solely the non-profits fault, we as donors forget to be in a giving mode, and we have to take some of the blame for that. Had I not stood in the cookie aisle at Ralph’s and though it through- I may not have bought any Girl Scout cookies. And while the front of a grocery store is a great place for foot traffic- selling boxed cookies so close to where one buys boxed cookies will naturally shift the thinking towards a commodity, and away from giving. You might see Girl Scout cookies on sale the next few weeks. It is our region’s season. Yes, they are sold year-round, in different parts of the country. I did a little research for you. According to the GSA website, 65-75% of the retail sales price (which is not $5 nationwide, it also varies by region) stays with the local Council. The Council determines how much of that the unit and individual earn. By that math, $3.25-3.75 of each box stays local. $1.25-1.75 gets the cookies baked (by one of 2 bakeries nationally approved), packaged and delivered. That’s lower than I expected. So they have kept the cost low and maximized the amount going to the local Girl Scout Council (The National Council does get a licensing fee from the bakery). The only problem I see- um, my Tagalongs weren’t that great. I mean, they were fine- but they tasted like any other cookie on the market to me know. They weren’t stale, but they weren’t overly fresh. The chocolate was fine, but not high quality. Overall, they were a good cookie- but not an epic one. The Girl Scouts are relying our giving focus, not our good-deal sniffer, to sell cookies. Of note, I completely missed one of the best reasons to buy cookies until I wrote this story and researched the Girl Scouts. Sure its about financially supporting their programs – but what I learned on their website, it’s also about learning responsibility, fiscal responsibility, entrepreneurship, a savings ethic, presentation skills, communication skills – it’s about the girl as much as it is about the Girl Scouts. Strip everything else away, and that’s the true RTG*. Non-profit fundraising is a growing and complex field- and these are just a few issues faced by non-profits, large and small. Even Sustainable South Sound faces this- as a membership organization, we often talk about ‘member benefits’ both tangible and intangible. We’ve had trouble ensuring other non-profit partners understand that part of a membership fee buys our existence – the basics of having a non-profit organization. We commoditized our business membership so it was synonymous with a Coupon Book – but we are far more than just a coupon book. At SSS, we hope all of our readers give this year, to any and all non-profits you see value in. It is only through those investments that South Sound can truly thrive. *RTG – Reason To Give, the RTG is an acronym invented by Joe Hyer in 2018 so he sounds more professional talking about fundraising, and the article feels better researched. It replaces the earlier term RTB. This was giving them the reason to believe in your cause, which then converts to an RTG. With a compelling RTB, you create a perfect RTG, and hopefully then convert to AG**. **No, not the attorney general. Actual Gift. As a formula- RTB + RTG = AG. See, it’s really very simple. Sometimes we have to step back and appreciate the sheer ‘craft’ with which a master works in any medium. An expert potter can throw clay around with what looks like careless abandon, but careful observation can tell a master is at work. The same holds true with words, and a master wordsmith can be identified within a few pages of any novel from the countless hacks trying to be great. Within a few pages of the beginning of The Art of Racing in the Rain, you could tell you were being guided by a master wordsmith. To craft a story completely from the point of view of the dog takes true focus. Reminiscent of Jay McInerney’s use of the second person voice in Bright Lights, Big City, or Bram Stoker’s brilliant shifting of perspective in Dracula. It takes discipline. Research. In each chapter, in each thought that Enzo, our intrepid canine, shares has been worked and re-worked so that it’s not only plausible, but natural for the dog to speak this way. But step back again, and you can begin to see the shape and design of the whole story arc. We know from the opening pages one main character is going to die. This happens on page 160 – of a 320 page novel. Yep, exactly halfway. While an artist might work with wild abandon, a craftsman plans, designs, measures and re-measures, to ensure perfection. It is when you blend the art and the craft, however, that you reach some new heights. So it is with The Art of Racing in the Rain. So beautiful, raw, poignant and touching that it is an emotional roller coaster. Yet each word, sentence, thought and chapter so carefully crafted that the reader knows the author placed each piece of glass in the great mosaic with utmost care. That which we manifest is before us; we are the creators of our own destiny. Throughout the story, life lessons are filtered through auto racing examples, and also by Enzo’s perception as a dog. It allows the author to be distant at moments, and heart wrenchingly close at others. The raw emotional ups and downs drive intensity, but also make us see a little respite. Summer in the Cascade is always pleasant, cool under the canopy of cedars and alders, the beaten path packed down, making long strides easy; off the beaten path- where dogs prefer- a soft and spongy bed of fallen needles that rot and feed the trees with a steady trickle of nutrients. And the smell! The smell would have given me an erection if I’d still had testicles. Richness and fertility. Growth and decay and food and decay. Waiting. Just waiting for someone to come and smell it, lingering close to the ground in layers, each distinct scent with its own aromatic weight, its own place. Maq, the author’s version of the novelist’s dog. As many readers must, I often saw my own little dog Maq in Enzo’s antics. And I gained some insight into what he might be thinking in some situations. While the author humanizes Enzo, he also ensures that at his core, Enzo is still a dog. A dog that manages to preserve his family, despite long odds. The Art of Racing in the Rain has sold more than 4.5 million copies worldwide since it was first published in 2009. It has been converted to a young reader’s edition, as well as joined by several other children’s books featuring Enzo. In 2012, Book-It Repertory Theatre translated it into a stage production that ran in Seattle. Next week, on March 1, Harlequin Productions in Olympia will open a four-week run of the show. Local Shows. Local Arts. Don’t miss out. About Garth Stein – Born in Los Angeles and raised in Seattle, Garth’s mother is a Tlingit native of Alaska, while his father was the child of Jewish immigrants from Austria. After 18 years in New York, he returned to Seattle in 2001, where he currently lives with his wife, three sons, and their dog Comet. He’s the author of three other novels – Raven Stole the Light, How Even Broke His Head and Other Secrets, and most recently A Sudden Light. He is also the author of a full-length play, Brother Jones, premiering in Los Angeles in 2005, and was the inspiration for A Sudden Light. He’s also co-founder of Seattle7Writers, a non-profit organization dedicated to energizing readers and writers and their communicates. Sometimes, we have to step back and appreciate the sheer ‘craft’ with which a master works in any medium. An expert potter can throw clay around with what looks like careless abandon, but careful observation can tell a master is at work. The same holds true with words, and a master wordsmith can be identified within a few pages of any novel from the countless hacks trying to be great. Summer in the Cascades is always pleasant, cool under the canopy of cedars and alders, the beaten path packed down, making long strides easy; off the beaten path- where dogs prefer- a soft and spongy bed of fallen needles that rot and feed the trees with a steady trickle of nutrients. And the smell! The Author’s verion of Enzo – Olympia’s own little Maq. Technology and New Projects Combined to bring the inevitable – Change. Several years ago, Sustainable Connections in Bellingham, one of the leading ‘Buy Local’ programs around the country, announced it was going to ‘take some time off’ from its annual coupon book to focus on other projects. We scoffed and relished in the strength of our book, and the solidarity of our community. Then comes the inevitable rise in printing costs. As well as a radical re-thinking of marketing budgets in every industry. And a lot of small businesses not surviving the recession. Suddenly, the cost of producing the coupon book is 30% MORE than you are collecting in fees from participating businesses. And 30% of the people who used to buy the book just don’t seem to any more. Suddenly, the folks in Bellingham seem like prophets. And we had one further factor they didn’t. Our new project, Living Local, offers an advertising avenue for businesses who don’t do coupons. And even for coupons- Living Local has full color, and ten times the number of coupons at the same price. We kind of took our own thunder. So wisely the board of directors opted to shelve the book for 2018, and evaluate other projects and products to promote and support Localism. You’ll be hearing about and seeing those in the coming months.